*LOCATION, LOCATION, LOCATION* And turn-key property. This is the best property in Fairway Six/Riverwalk. The only prestigious community in Colorado. A luxury end unit that has privacy on the front porch and large (19x16) Trex-deck in back. 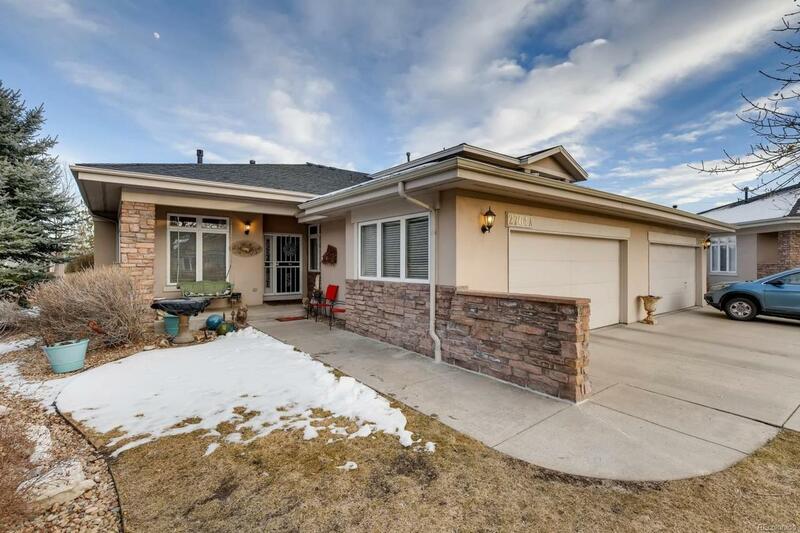 This property is a stucco-ranch style property with high-end upgrades throughout. There are hardwood, tile floors, and new carpet. New light fixtures, newer windows, two gas fireplaces, and 2 laundry rooms. Basement has a man cave with a gas fireplace a private guest room with a full bath, flex area, laundry room, storage area, and large walk-in closet. A 12,000 sq ft clubhouse, with weekly community activities/events, with a spa, billiards room, outdoor pool, meeting and banquet room. A fully equipped fitness center with men and women lockers. There are many amenities nearby such as old town Littleton, the Platte River with bike trails, walking distance to grocery stores and restaurants. A few steps to public transportation. Offered by Mb Bahl Marketing Group.